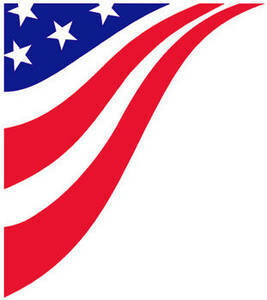 Description: Free clipart image of stars and stripes. This picture is white, with a sweep of red stripes, and a blue field with white stars. The top, right corner is adorned but the other parts are white.WP Clipart.